In the industrialized West, there evolved the prevailing Pseudo-religious dogma that human beings are at the centre of ‘G-d’s creation in the universe’. This dogma is the ideological motivation behind the on-going de-legitimization of the verfiable contact that people have had with Extraterrestrials (ETs). This apparent dogma has become the modern equivalent of the corresponding dogma, that “the world is flat”, which Church and other elites centuries ago used to champion. In contrast, free of Western pseudo-religious based dogma, the Buddhist milieu of China, has freed their scientific community, with the support of government, and ofcommunity participation, to seek to explore UFO incidences and evidence of human contact with Extraterrestrials. A notable example of dogma, in the context of the so-called ‘War on Terrorism‘, is that “the U.S. and its coalition partners are waging war in Iraq and Afghanistan not subtantively for oil, but to promote human rights;” meanwhile well-documented human destruction, suffering and oppression worsen. Nanjing, CHINA – On August 17, 2006, a disc shaped object was filmed above an apartment building and a UFO moved slowly across the top of the apartment building. Reference: Nationalufocenter.com. Sun’s first close encounter occurred in 1971, when he was sent to the remote countryside during the “cultural revolution” (1966-76) to perform the grueling task of rice planting. One day while toiling in the field, his attention was diverted to a bright object in the sky, which rose and fell repeatedly. At first, Sun assumed the spectacle was some sort of Cold War intelligence monitoring device – a reasonable deduction considering the times – however years later, after reading foreign materials on UFO sightings, he knew he had experienced a close encounter. Research [ethically-based] into UFO‘s could help spur new forms of high-speed travel, unlimited sources of non-polluting and non-fossil fuel based energy and faster-growing crops, claims Sun Shili, president of a government-approved UFO Research Association (membership 50,000). He also indicated that doctors had indicated that Zhao Guo’s scars “could not possibly have been caused by common injuries or surgery.” Meng Zhao Guo, a humble farmer with only 5 year’s schooling, also indicated that he had never heard of UFOs or ufologists until after his experience had been reported. 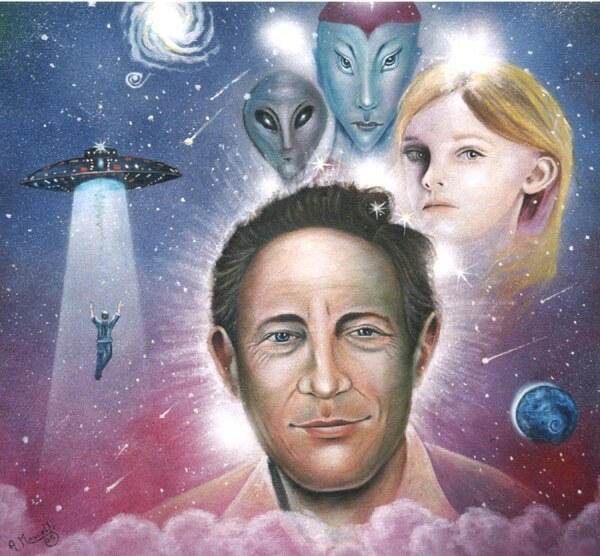 In December 1999 Cao Gong, a middle-aged man from Beijing, indicated to Bill Chalker, that he had been abducted by aliens and flown to Qinhuangdao in their UFO. “They looked like humans but had large hands and were very pale, ” Cao said. He said he had also met a Chinese girl in the flying saucer. Zhang Jingping’s research investigation began in April 2000. The first step was hypnosis. Zhang invited a famous psychologist from Suzhou and asked him to conduct hypnosis on Cao in helping him to remember the whole incident. Then he brought Cao to the Beijing Bureau of Public Security and gave him a lie detection test. “He passed the test,” says Zhang. According to Cao, who is the principal of a private school in Fangshan District, he met a Chinese girl in the flying saucer, who looked around 13 years old. “The aliens cured her disease in the flying saucer,” he claimed. In order to find the girl, Zhang brought Cao to the Tangshan Bureau of Public security in July 2000. “The policemen made up a computer image photo-fit of the girl’s face according to Cao’s description,” says Zhang. “There was only a narrow glimmer of hope of finding the girl with only a computer image of her,” says Zhang. They arrived in Qinglong County to the north of Qinhuangdao, and began their blind search among the county’s 400,000 population. “Amazingly, we found a clue on the second day of our search. An old man in the county recognized the girl in our picture,” says Zhang. They found the girl soon after that. She was 15 years old. Zhang brought her back to Beijing to meet Cao Gong. She was identified by Cao as the girl he had seen in the UFO. Zhang has now spent three years investigating this case.”This case is fascinating and I was fortunate that while in China I was able to discuss the case in detail with Zhang Jingping and other researchers, and also talk to Cao Gong himself. In Dalian’s UFO Society, 90 per cent of the 400 members have college degrees. “It’s exciting for us to use science to decipher UFO sightings,” said Zhou Xiaoqiang, secretary-general of the Beijing UFO Society. China has a bimonthly magazine — circulation 400,000 – devoted to UFO research. The conservative state-run media also report UFO sightings on a regular basis, in contrast with Western government organization which, as a policy, deny verifiable human contact with Extraterrestrial. UFO buffs in China claim support from eminent scientists and liaisons with the secretive military, giving their work full scientific respectability. “If something flies over [ET spacecraft], there’s a very good reason for trying to understand why they’re here, why they come to us, what is their relationship between us and them,” he says. The club meets once a month to explore otherworldly topics like “E.T. Civilization” and alien philosophies. Saying that “the Earth is round.. and revolved around the Sun” used to be an indictable offence with the prospective sentence of capital punishment, in Western “Christian” Society which regarded such talk to be the mutterings of seditious lunatics. “Official Science” and “institutionalized religion” in the West is not substantively inspired by the free-spirited pursuit of wisdom. Rather, these Establishment milieus in the West are guided by “elite ideologues” who in contrast with China, and for their own dogma-driven agenda, seek to delude the public on Extraterrestrial awareness, and other areas. “Brazil, India and China are taking the lead on extraterrestrial awarness”, Mihir Sen, from the India Daily reports. “They want to make sure the emerging new world understands that we have to coexist with our advanced extraterrestrial neighbours.” The Indian Daily reports that Extraterrestrials will be forced to more publically reveal themselves in order to try to avoid a planetary disaster which is projected to occur in 2012. As human civilization is being destroyed under the hyprocisy which guides the Western Scientific and pseudo-religious Establishment, the timely needed enlightenment of human populations on a reported Extraterrestrial presence, could very well be led by China. The government of China notwithstanding accounts of human rights abuses, appears to have constructively prepared members of that society, on the kind of potentially vital awareness context, which Western governments continue to deny its own societal members. Recommended Readings on a rejuvenating the international political ecomony away from capitalism, which supports the oppression of vital civic awareness in areas which include Extraterrestrials: Do Extraterrestrials Exist? ISBN:189731809X, The Quality-of-Life and Human Development, ISBN: 1897036353, 2006, 2007, Capitalism is Not Democracy, ISBN: 1894934636. Britain MoD rules UFO’s poses no threat ! PREVIOUS POST Previous post: World Becoming More Corrupt?